Now that my Samsung Galaxy S4 is officially dead, I feel like a sitting duck, a dude with an unlimited data plan, but with nothing to use it on. 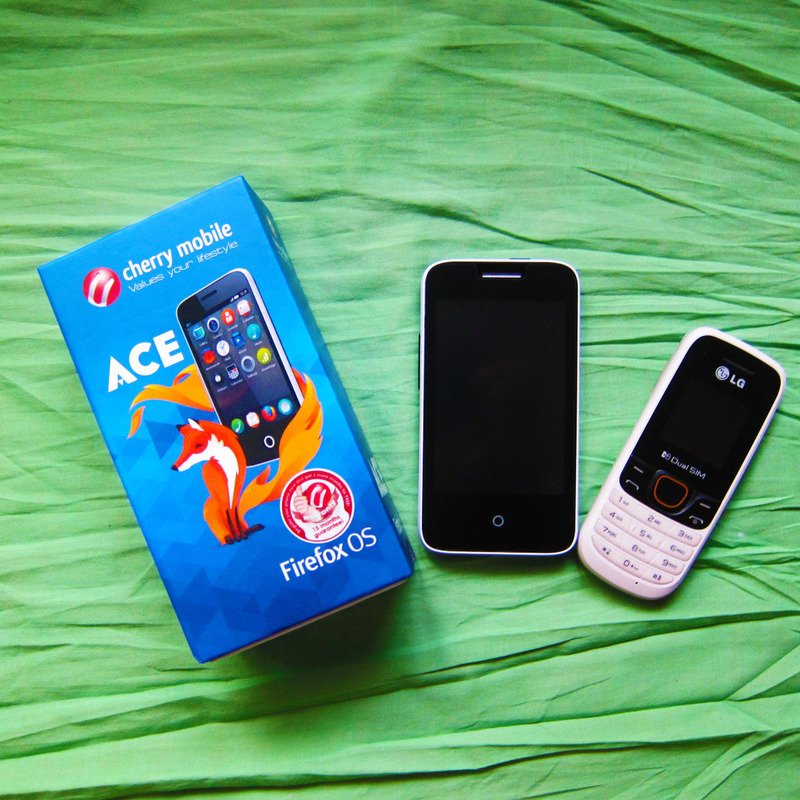 So, I got myself a temporary phone – a Cherry Mobile Ace, the first smartphone in the Philippines to use the Firefox OS platform. 1. Battery life doesn’t last very long. I had to charge just as often with the S4; about two times a day. But could it be because I had brightness on full mode? 2. Top non-WiFi speed is only 2G/EDGE. It feels 56K dial-up all over again. So yeah, you can throw the Ace away. Kidding, don’t do that. So if you have a SIM card with an unlimited data plan, put it on a mobile hotspot, and connect the Ace via Wi-Fi instead. 4. Keyboard is a hit or miss. It boasts of a capacitive screen, but it doesn’t detect keypresses correctly. A little retraining can fix that though. Hit a little bit on the sides, and you’re good to go! I was also hoping the QWERTY keyboard could be changed to 3×4 format, but NOPE. 5. It’s all HTML5. What did you expect? It’s Firefox OS after all! But what does that mean for app-addicted users like (you and) me? Well, there isn’t much in apps. For one, there is no Instagram. But don’t sweat it. The Ace has a non-zoomable 2MP camera. You wouldn’t want to take your #foodporn shots with that anyway. 6. No internal storage. So you can’t take photos with it out of the box. Oh, it supports up to 16GB microSD! 7. Power On lag. It takes about 2 seconds before the screen comes on. If you’ve been on powerful smartphones, it’s something you notice right away. 8. Low volume. Even with my hearing aid on, this phone just doesn’t cut it. 9. Home button vibration, and you can’t disable it. 1. It’s CHEAP, like only PHP999 (USD22) cheap! So, you can drop it as often as you like, and it wouldn’t break your heart! 2. Surprisingly snappy for its price range. Sure, it hangs a bit when you scroll through Facebook, but even a poorly-configured Android phone does that. 3. More screen estate for SMS, at least versus my LG A275, which serves as a very good torchlight BTW. 4. Dual SIM, although I’ve never had to be on dual SIM. Ever. 5. MicroUSB port for power and data. Don’t you just hate Apple? But just because the Ace doesn’t deliver, it doesn’t mean Firefox OS is crap. There are plenty higher-end Firefox OS devices with better specs. Also, you have to admire Mozilla for the work that they do with the Firefox browser and the open web in general. Send these guys a donation!